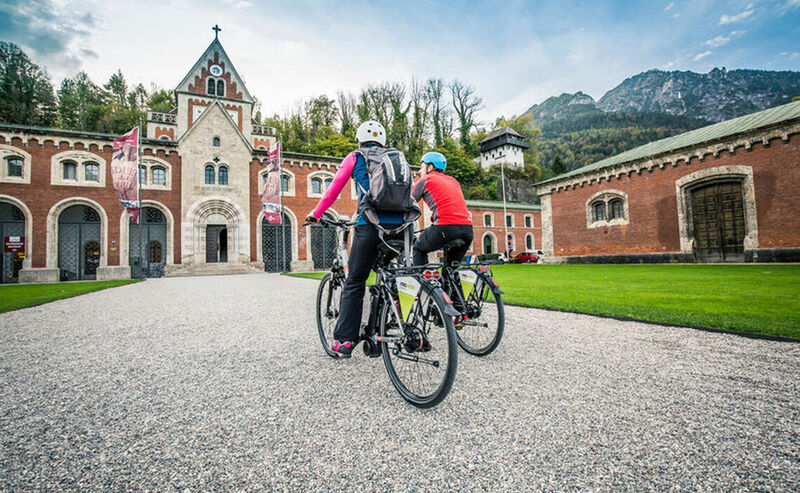 The Alpine Town of Bad Reichenhall, along with Bayerisch Gmain, is a paradise for those who like to cycle in nature and is suited to athletes and families alike. Here you will find a trail network of several hundred kilometers through valleys and up mountainsides with varying levels of difficulty. Just hop in the saddle and go! How about a relaxing ride to an alpine meadow with a little help? 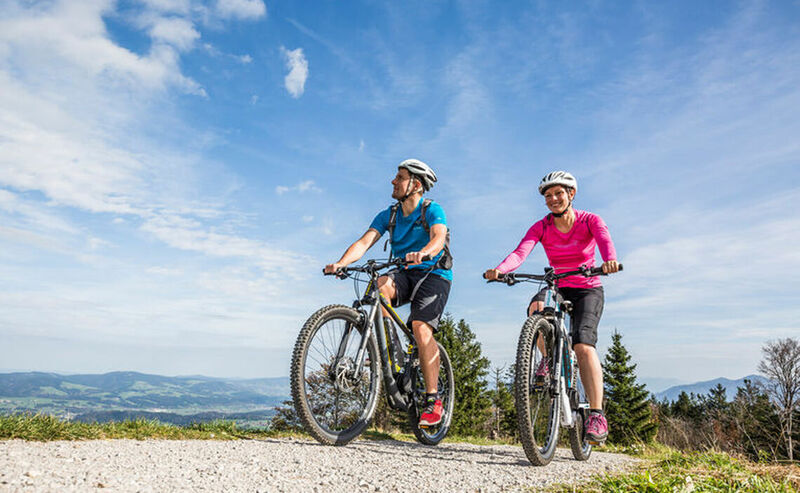 Thanks to e-bike rentals, the Alpine Town of Bad Reichenhall offers you some assistance to your uphill pedaling. This way families, beginners and athletes can all enjoy being active. 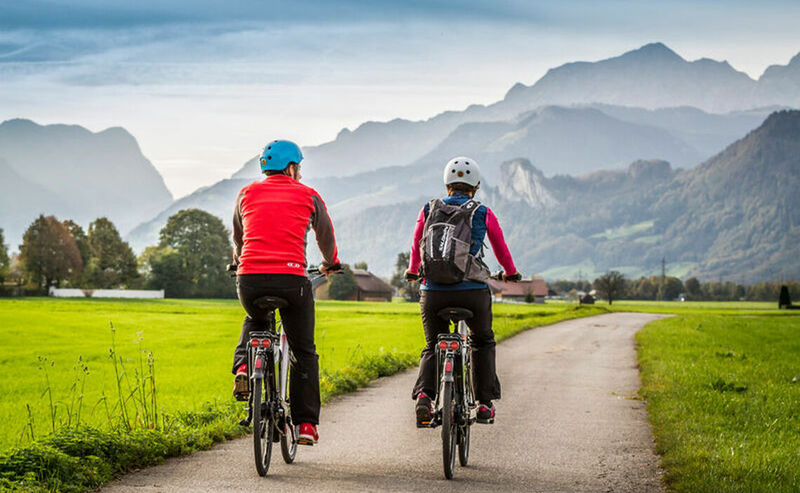 No one needs to overexert themselves and can actually feel regenerated while biking and exploring this beautiful region and enjoying the alpine climate. Reichenhall’s company Movelo is a pioneer in e-bike mobility and offers their bikes for rent. Rental spots include the RupertusTherme and several places in town. Simply hop in the saddle and pedal effortlessly through hills and vales! 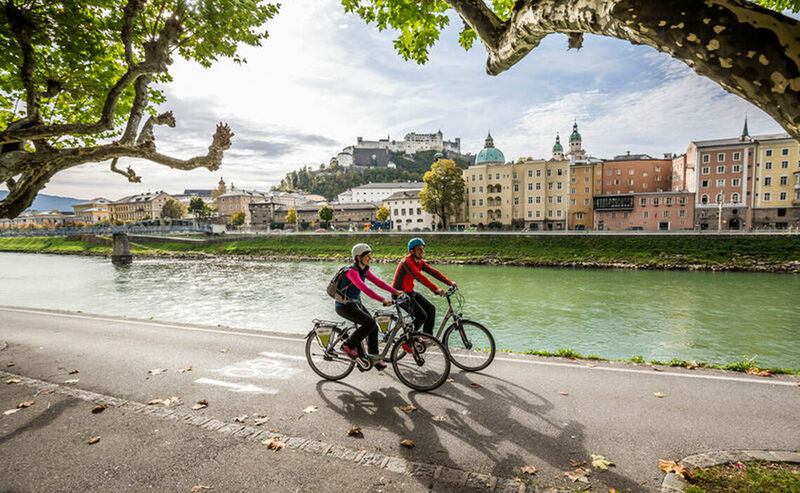 Thanks to these bikes you can look forward to rewarding experiences while remaining environmentally friendly in the Alpine Town of Bad Reichenhall.